A donation from the Community Foundation assisted Vernon’s Good Food Box, a volunteer non-profit produce buying cooperative which purchases fruit and vegetables in bulk according to season and distributes them through central locations. Boxes are ordered and paid for in advance and the Good Food Box buys direct from farmers when possible. It works in cooperation, not competition, with local food producers and retailers and, by using volunteers to sort and pack boxes, is able to deliver a large box for $12 per week. Typical boxes include potatoes, onions and carrots as well as six to eight seasonal items such as lettuce, peppers, yams, tomatoes apples and oranges. 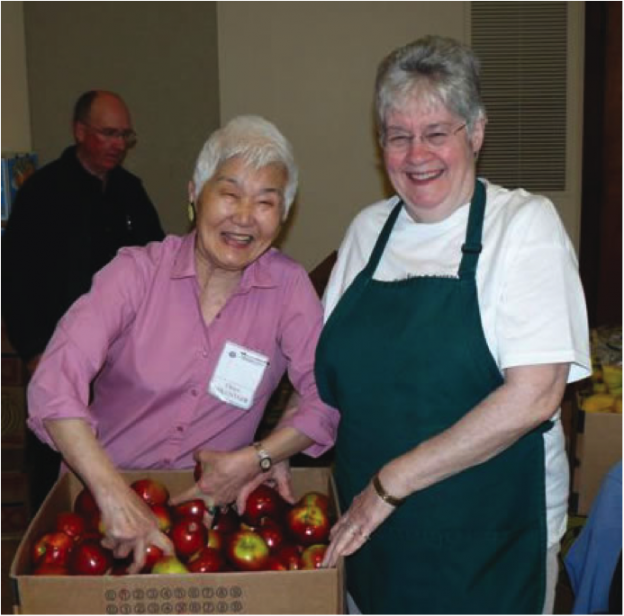 The Community Foundation donation allowed the Good Food Box to expand distribution from 350 to 500 boxes per month as well as adding 150 families to their newsletter which provides food and nutritional information.